The results are in for this weekend's splatfest. 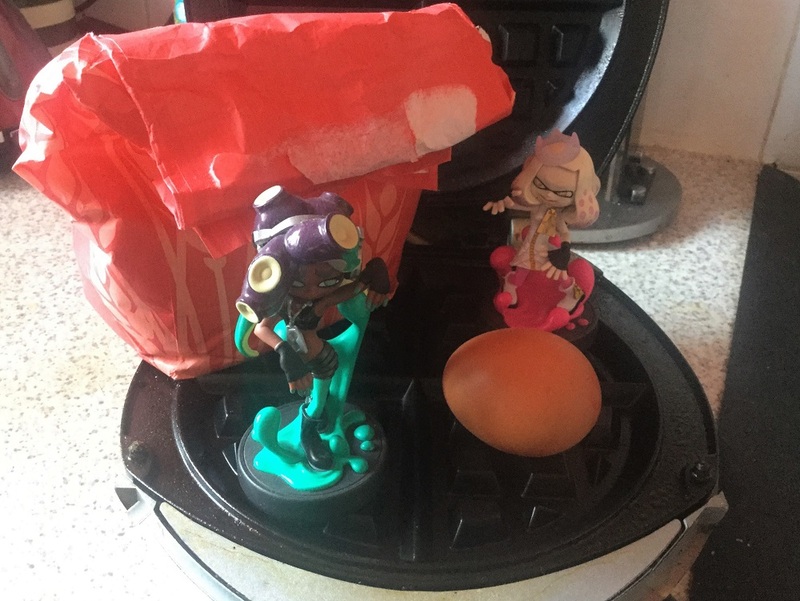 Held, of course, on Nintendo's switch shooter Splatoon 2, this food-themed face-off took place in North America and Europe and asked players whether they preferred Pancakes or Waffles as part of their non-nutritious breakfast. It was a close call in percentages, but an absolute landslide final result, as cutie-pie Marina bagged a 3 - 0 victory for Team Waffles. Pearl's Pancakes were pipped at the post in the public vote, normal play and pro play, with Marina taking all three rounds in favour of the exact same foodstuff, just slightly overcooked and presented in a grid formation. To celebrate, I'm giving you all permission to go and eat waffles today. All day. Enjoy them with maple syrup, honey, ice-cream, even bacon and fried chicken. Hell, why not all of the above together? That's how you guys and gals eat, right? I've seen Diners, Drive-ins and Dives.